The county town of Suffolk, Ipswich has been continuously occupied since Anglo-Saxon times, and lays claim to being the oldest English town (ie founded by the English rather than Romans etc..). The current population of the town is currently around 135,000 with the outlying areas taking that total up to somewhere in the region of 180,000. The town's name comes from the medieval name Gippeswic, but has also been known as Gyppewicus and Yppswyche. Famous historic people associated with the town are Thomas Gainsborough, Charles Dickens, Lord Nelson, and Thomas Wolsey. World cup winning England manager Alf Ramsey was manager of Ipswich Town FC and has a statue outside the football ground, I hear he is also buried in the town. To the west of the town centre lies the town's largest public park, Chantry Park. It is set in the former private grounds of Chantry Mansion which had its first incarnation built in 1668. Over the years the mansion has been enlarged and is now a grade II listed building. It is currently leased by the Sue Ryder Foundation as a home for people with complex neurological needs. The grounds, which are grade II listed on the English Heritage Register of parks and gardens, are laid out in an Italianate style. They cover 124 acres and contain a mix of formal planting around the mansion, a cricket field, and grassy meadows. The mansion and grounds were saved from private development and came into public ownership in 1927. The park was formally opened in 1928 by Princess Mary, Viscountess Lascelles. In 2005 the park was designated a conservation area. 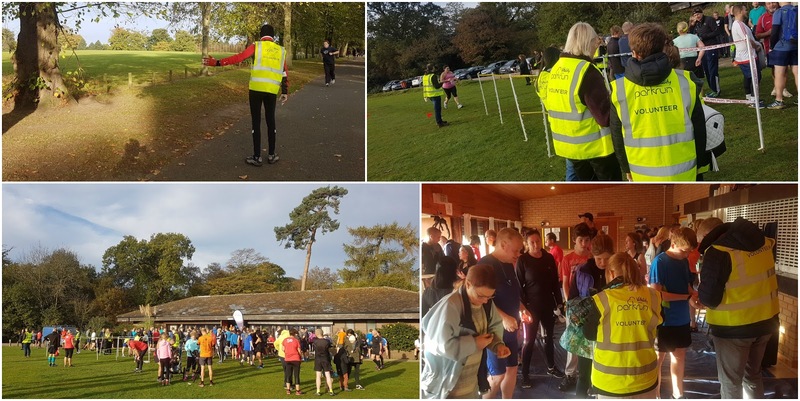 On the 8th of September 2012, the park became home to Ipswich parkrun. I drove to the venue with my friend Richey on 28 October 2017 and parked in one of the on-site public car parks, adjacent to the mansion house. Had we travelled by train, we would have alighted at Ipswich train station and walked the kilometre or so to the park. Once in the park, participants head towards the Ipswich and East Suffolk Cricket Club pavilion near the southern tip of the park, where they will find tea and coffee facilities, toilets and an extremely warm welcome. Attendances have steadily grown since the inaugural event, and as of October 2017 you should expect to find around 300 participants here. A first-timers briefing was held outside the pavilion, and this was followed by a walk to the opposite side of the cricket pitch where we all congregated on the start line. A full briefing was held here and we were then sent on our way around, what is essentially a single lap, anti-clockwise, 5k course. Underfoot is mostly grass and/or dirt paths on gently undulating terrain. The course itself is quite difficult to describe in detail after just one visit, as it weaves all around the wonderfully picturesque park. It's not easy to figure it out the exact route from the official course page, so I'd recommend having a look at a GPS trace of the course if you want to try to get your head around it before visiting. However, I will give a brief run through of the course as I remember it. 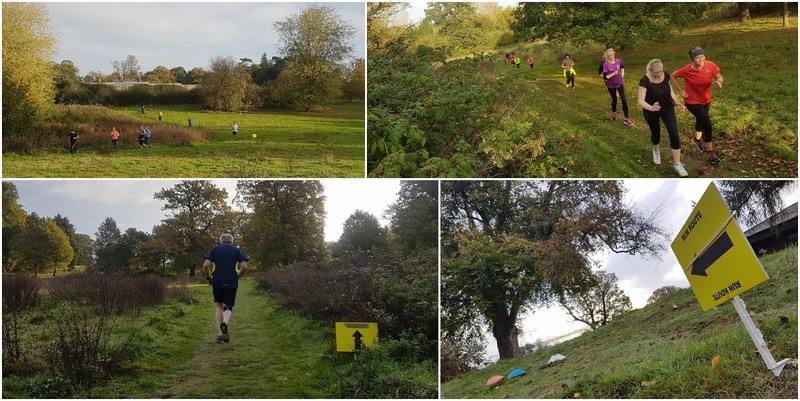 It starts with a loop around the cricket field which is smooth underfoot and has ample space for people to slot into their desired place within the field of runners. After a full loop, the course breaks off and follows the park's southern border to the east where underfoot gets a little less smooth and the path narrows a little. After crossing the main central tarmac path, the route continues to weave around the grassy meadows in the eastern half of the park, gradually making its way into the north-east corner which is the lowest point of the course. The route then generally starts to meander and weave its way back towards the central part of the park and then switches to tarmac/gravel paths where it heads along an avenue of trees and directly past the south face of the mansion. It then returns to grassy meadows, this time in the central/western area of the park. At 4-and-a-smidgen kilometres, the course passes the cricket pavilion via a short, sharp incline. With a kilometre left to go, the course has one large loop left which features some more tarmac and another trip along an avenue of trees. Finally it's back onto the cricket pitch for the final stretch and the finish line is found right outside the doors of the pavilion. Barcode scanning took place inside the pavilion and had I not shot straight off to take some photos around the course, I would have enjoyed a nice cup of tea. I really, really enjoyed running this course. It's off-road and goes all over the place, which is just the kind of thing I like. It has enough undulations to keep things interesting, but not so many that it becomes a chore to run. As we visited during the early autumn we were lucky enough to see the park just as its autumnal colours were coming through, which helped to show off its stunning scenery to its fullest. The results for the 306 participants were processed and online later that morning - I received my results text while having a quick drink and pastry on the way home. I recorded the run using my Garmin and used to Relive app to create a course flyby video - the links to these are at the bottom of the page. Lastly, before I sign off. While Chantry Park is the main venue for this parkrun, over the winter the course can get saturated and potentially dangerous to run on. 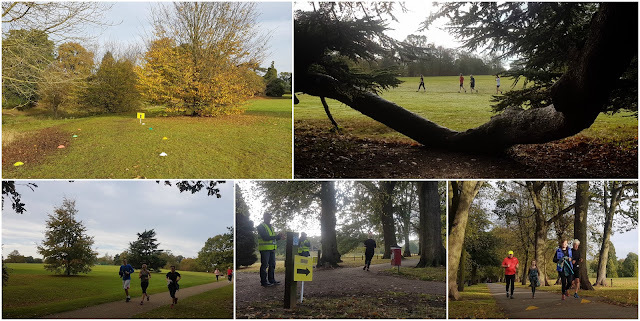 So the event moves a couple of kilometres to the east and is held in Christchurch Park (approx Jan-Apr, but I'd imagine that can vary), so if you're running at that time of the year, it's definitely worth checking before you leave home. Of course, if I make it over to Christchurch Park I will write a blog about that venue too.